« Why Choose Atlantic Maintenance Group? See Client Testimonials! 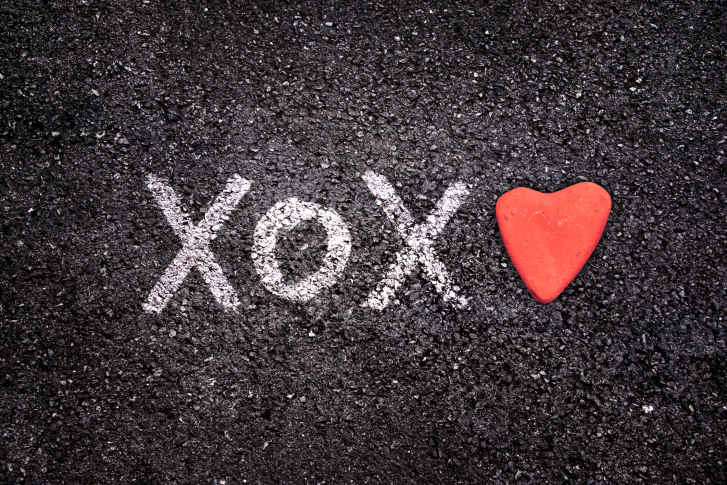 Don’t leave your asphalt brokenhearted this Valentine’s Day, show it some love and appreciation! The winter can be some of the most damaging months for asphalt and concrete. Inclement weather and inconsistent temperatures can leave your pavement riddled with pothole damage, cracks and debris. 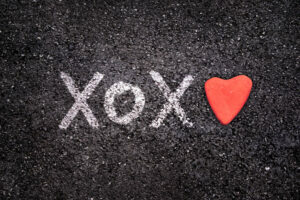 This Valentine’s Day, don’t forget to show your asphalt some love and give it the much needed attention it deserves. Let Atlantic Maintenance Group elaborate on how. Does your significant other often complain about your listening skills? Your asphalt isn’t any different! While you can’t actually hear your asphalt calling for your help – visible damage is its silent cry for repair. When you take notice of asphalt damage, you need to act fast and plan for a repair! If you don’t, the damage will worsen. Much like if you don’t listen to your significant other, the argument will likely worsen. You get the point. Okay, so maybe don’t kiss your asphalt. But consider sealcoating it for ultimate health! At Atlantic Maintenance Group, we start by clearing your asphalt pavement of loose debris and applying crack sealer to cracks and other damaged areas. Once that is complete, we apply a high quality sealant that will extend the life of your asphalt (we’re talking long-term relationship here). Need Maintenance Help? Contact Atlantic Maintenance Group Today! Mother nature can wreak havoc on asphalt, making highly trafficked areas unusable due to potholes and cracks and heavily damaging your property. Expert advice, installation, and care is key in maintaining the integrity of asphalt year round, but especially during the harsh winter. The Atlantic Maintenance Group offers quality landscape, asphalt, snow removal and concrete maintenance services. We have the expertise to help meet all of your needs. Click here for a free quote today, give us a call at 410-768-4720 or contact us via ourwebsite to start planning for your commercial snow removal needs. You can also follow us on Facebook, Twitter, Pinterest, and Google+. This entry was posted on Wednesday, February 10th, 2016	at 9:55 pm	and is filed under Asphalt, Blog	. You can follow any responses to this entry through the RSS 2.0	feed. Both comments and pings are currently closed.